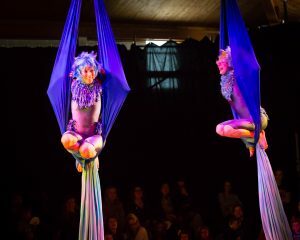 The renowned children’s festival takes place from Monday 14th October to Sunday the 20th October and is made up of theatre, dance, literature, music, puppetry, workshops and visual art for all ages. There is literally something for everyone, with events such as Concertino-Pannolino available for new-born babies to the events such as ‘Me, Michael’ for kids up to 15 years of age. The aim of the festival is bringing family’s together in a fun environment while using the children’s imaginations through arts, crafts, and live shows. Families can join together to watch well-known stories and movies been depicted in a new light both on and off the stage. Reading groups and workshops will run throughout the duration of the week encouraging children’s creative side. Last year saw events take place for both children and adults which was a great way to bring all aspects of the family together. ‘’Arts with early Teaching through creative Arts’’, ‘’create wearable designs’’ and puppet shows where high lights last year along with many theatres shows presented by both local theatre companies and further-a-field. For big and little kids, the Baboró International Arts Festival is Ireland’s flagship arts festival exclusively for children and families.